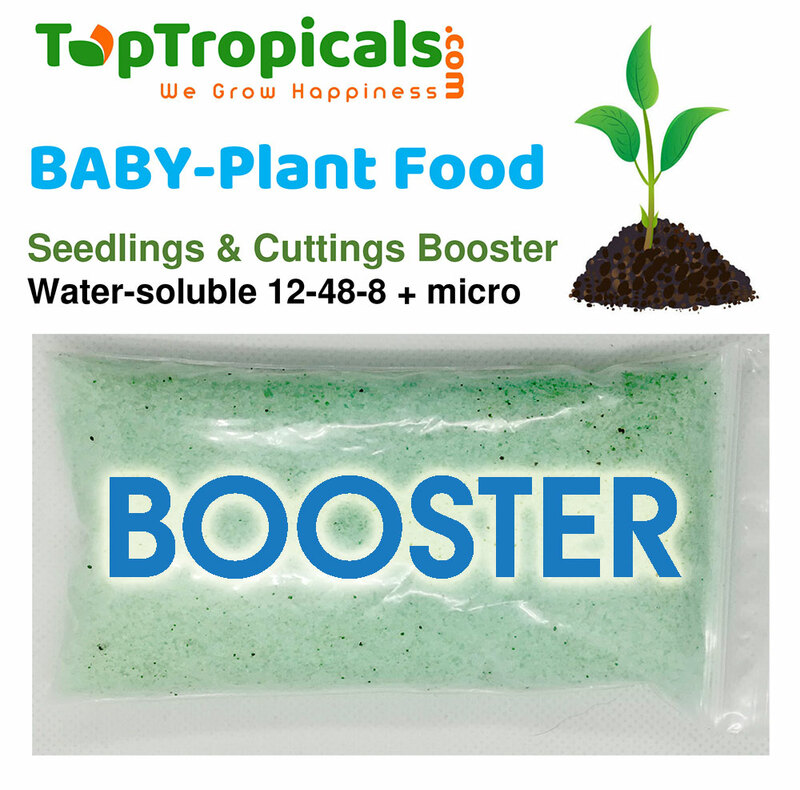 Water-soluble Plant Food with micro-elements specially formulated for establishing baby plants. 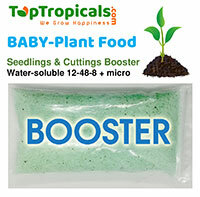 Ideal starter for transplanting young seedlings and newly-set cuttings. Provides extra water soluble phosphorous to help stimulate root development. DIRECTIONS: Mix 1 teaspoon with 1 gal of water and apply to seedlings or rooted cuttings right after transplanting. Spray leaves and drench/saturate the soil around the roots. Chelated micro-elements: Copper (Cu) 0.05%, Iron (Fe) 0.10%, Manganese (Mn) 0.05%, Zink (Zn) 0.05%. Manufacturer: Diamond R Fertilizer (FL, USA), license No F1573. This item can be shipped separately from plant items, with arrival date before or at the same time of plants delivery.